It is lavender season again. I just adore the plant, there are endless things that you can do with it, it smells divine, looks great AND it keeps the bees happy! 1. 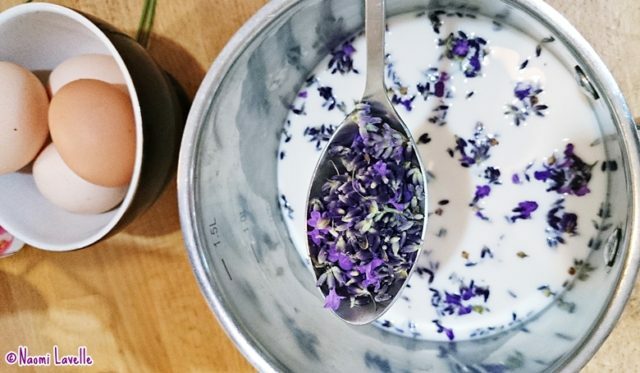 Heat the milk in a saucepan over a low heat and add the lavender (we used one tablespoon, but for a stronger flavour this can be increased, up to three tablespoons, if you really like a strong lavender taste). 2. 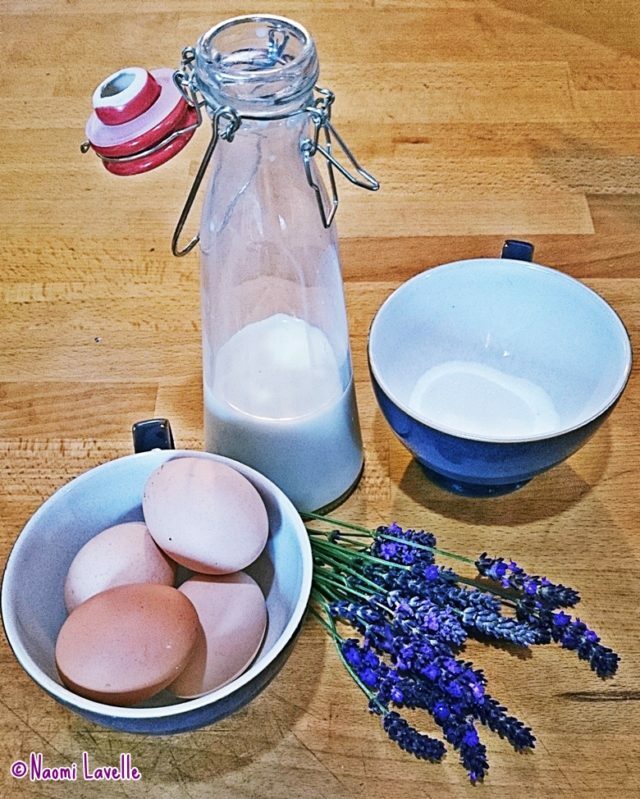 Leave the lavender in the warming milk for five to ten minutes. 3. Add the sugar to the warm milk and stir until completely dissolved. 4. Crack the eggs, separate and place the four yolks in a bowl. 5. Whisk the egg yolks thoroughly with a fork. 6. Add the warmed milk to the egg yolks, one tablespoon at a time initially, and stirring constantly. You want to make sure that the milk is not too hot and that the eggs don’t scramble! You can strain the flowers from the milk before adding to the egg yolks but we left them in until the very end. 7. Once about half of the milk has been added, the rest of the milk can be poured in, mixing all the time. 8. Return the mixture to the saucepan and keep stirring, over a low heat, until the mixture thickens. 9. Turn off the heat and strain into a clean, dry bowl, to remove the lavender flowers. 10. Add the cream to the bowl, stirring continuously. 11. 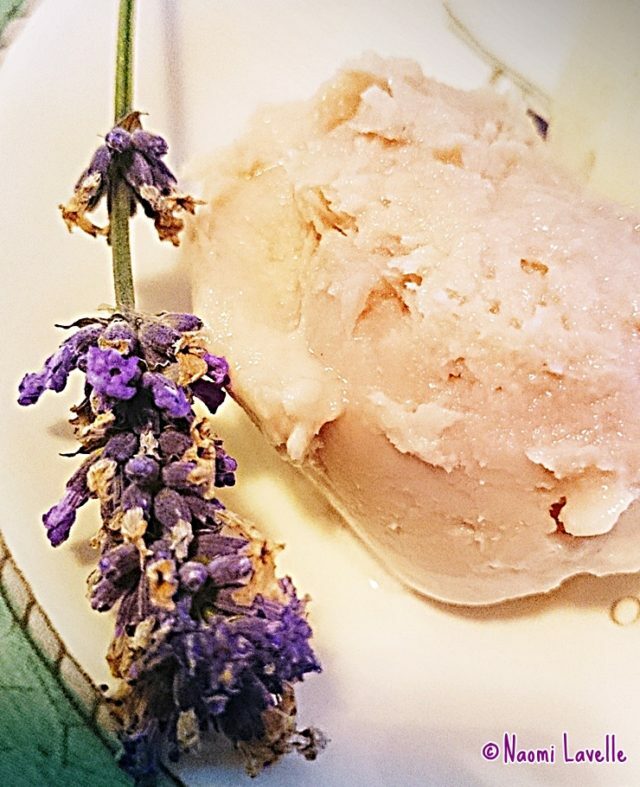 If you want to make your ice cream more “lavender” coloured then mix in some red and blue food colouring until you get the desired colour. We used about two drops of red to every one drop of blue. 12. And then it is time to turn it into ice cream, either using an ice cream machine or, as we did, place it in a shallow plastic container, add a lid and freeze; check on it every hour and stir up gently with a fork to mix and break up the crystals, until you are happy with the texture of your ice cream. Next time we make it we are thinking of trying this (to combine science and ice cream making… how cool is that?!). 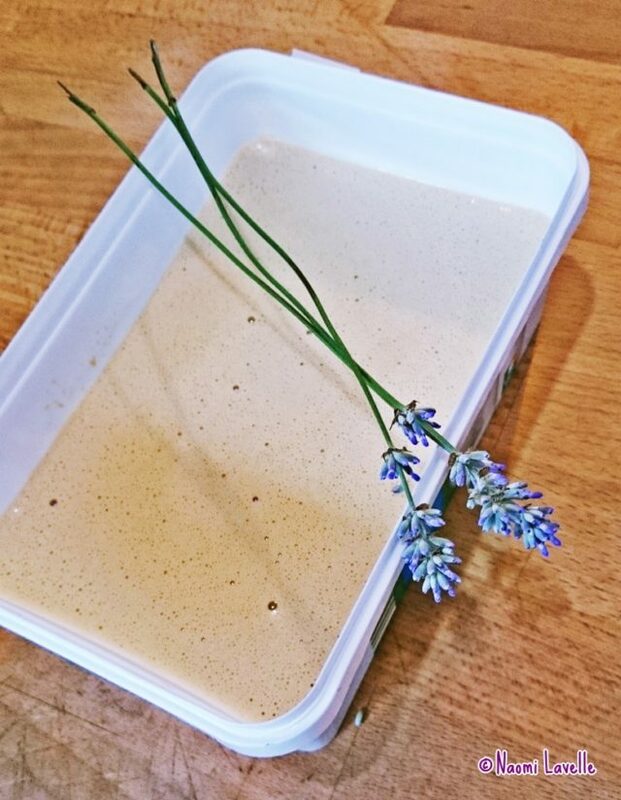 If you want to see what else we have made with lavender check out this post, or this photo tutorial on how to make a lavender wand!